Just getting started with business continuity planning? Looking to mature your program and address your customers’ and stakeholders’ most aggressive expectations? 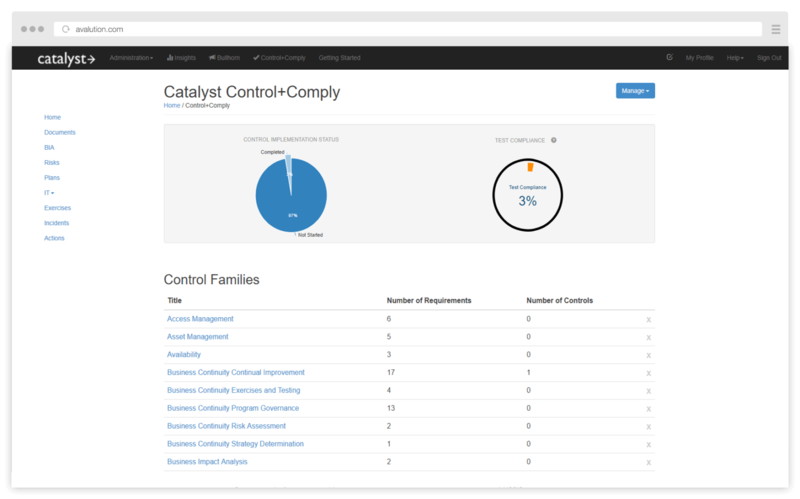 Catalyst business continuity software provides comprehensive, yet easy to use, business continuity and IT disaster recovery functionality to prepare organizations for disruptive incidents – offering world-class coaching along the way. It doesn’t matter what causes the disruption, whether a cyber-attack or natural disaster, Catalyst enables organizations to prepare for the unexpected. Catalyst provides ongoing guidance and measurement capabilities to enable an organization to continue increasing its resiliency and overall level of preparedness – justifying the resource investment and ensuring internal and external customers are satisfied with business continuity capabilities. 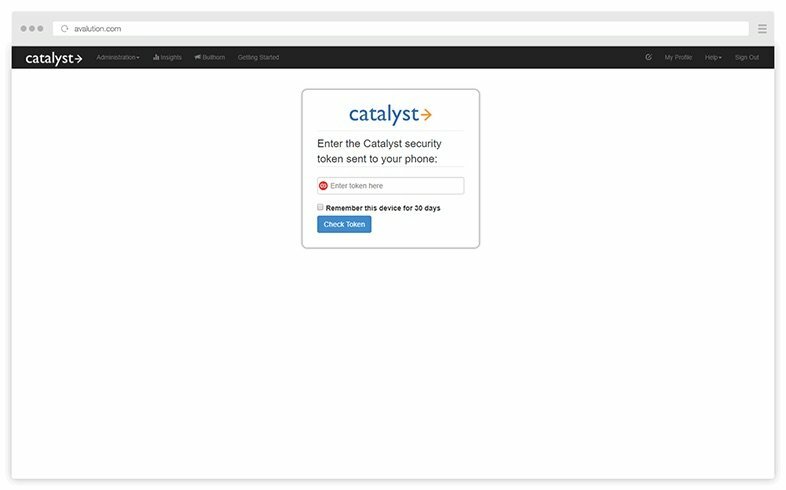 Catalyst automates administrative-type tasks, giving the program manager more time to focus on improving the business continuity program, consulting with the organization’s program participants, and closing performance gaps – driving a deeper level of preparedness throughout the organization. Catalyst also helps achieve conformance with ISO standards. 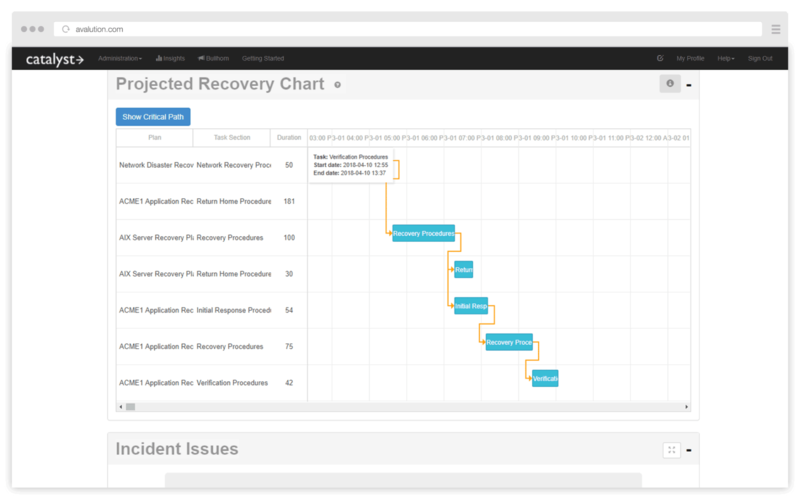 Catalyst enables Disaster Recovery Program Managers to seamlessly link application and infrastructure information to business requirements – enabling you to focus on building a great recovery capability aligned to business needs. 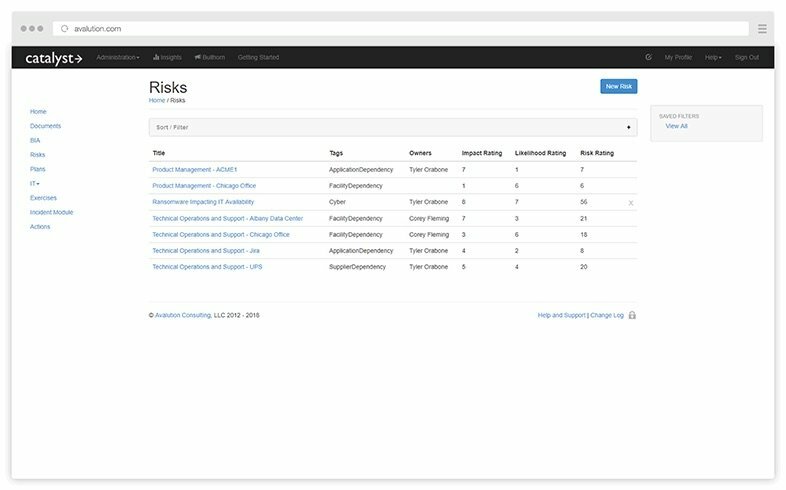 During an incident, Catalyst enables you to visualize the response and recovery effort, which provides the ability to address roadblocks and predict when key recovery events will occur. 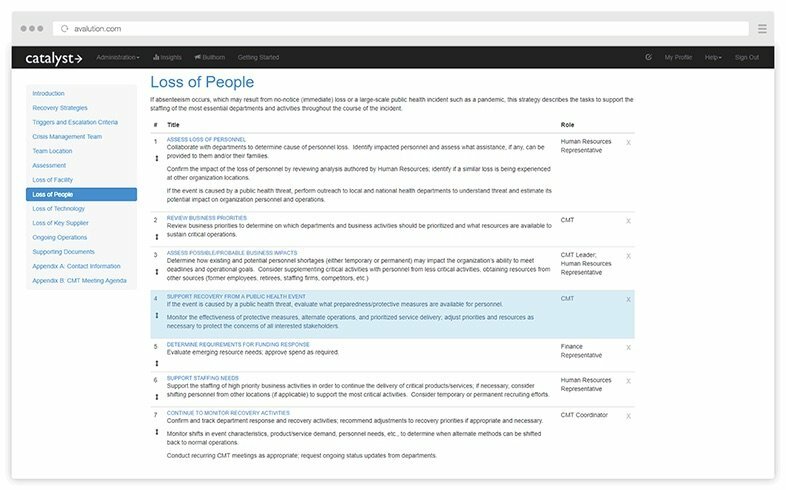 Catalyst’s straightforward, easy-to-use interface helps business continuity planning participants get up and running – and involved in the business continuity planning process – in the shortest amount of time possible without significant training. 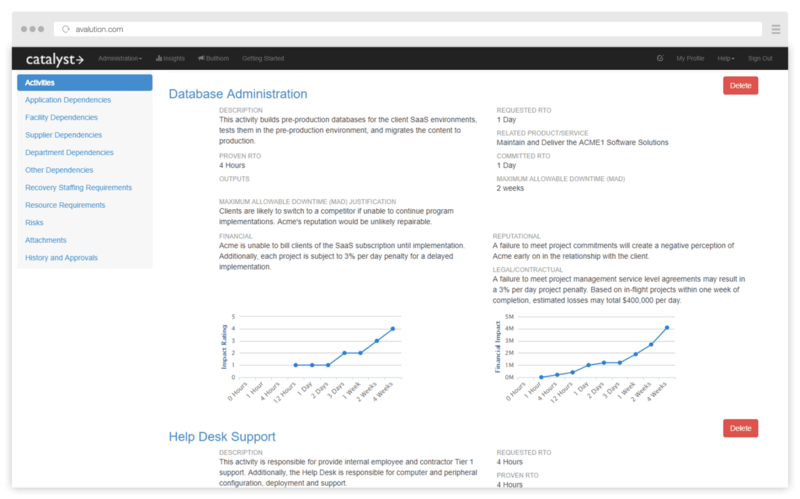 End users can execute business continuity tasks quickly and easily without disruption to their daily schedules. 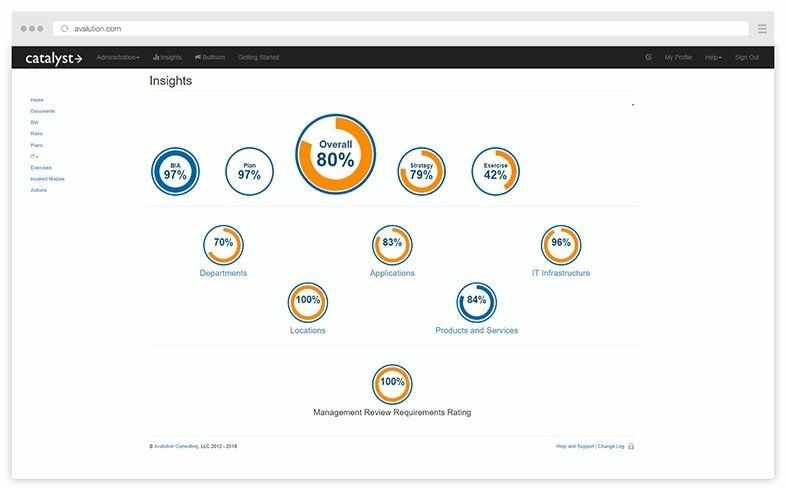 Catalyst enables compliance with chosen standards, regulatory requirements, and internal policies in real-time to ensure organizations are meeting expectations and obligations. 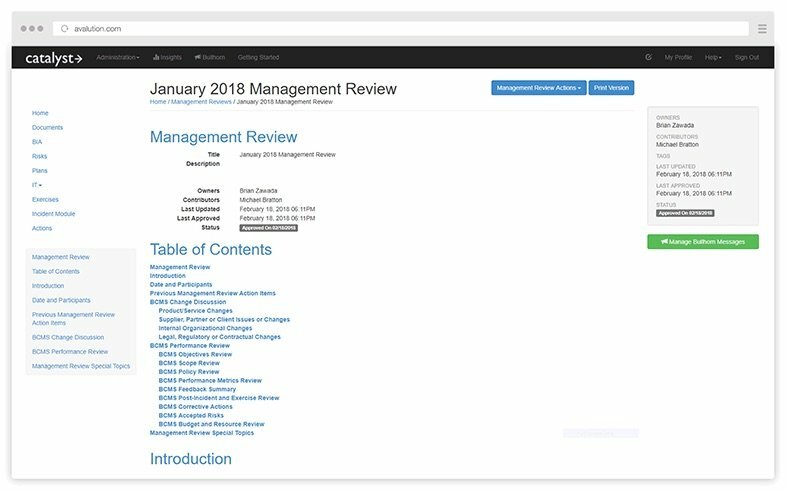 Internal auditors can easily access program information to quickly enable the creation of risk and compliance-related conclusions and options. 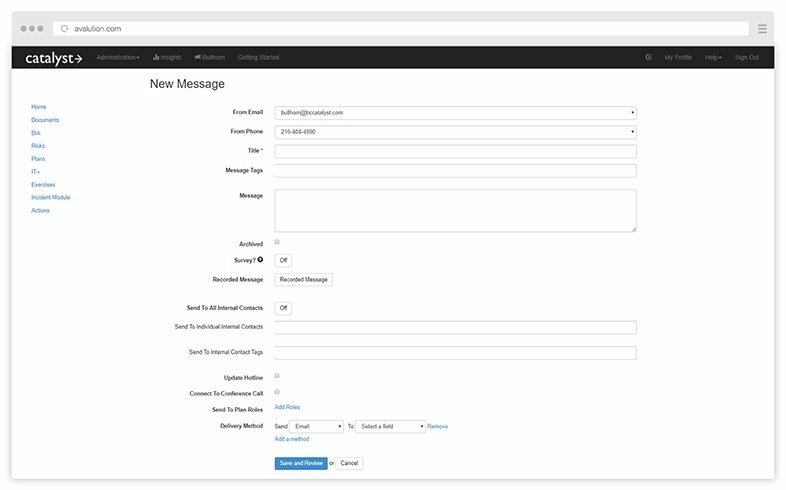 Developed by experts, Catalyst is easy to use and makes business continuity feel familiar. 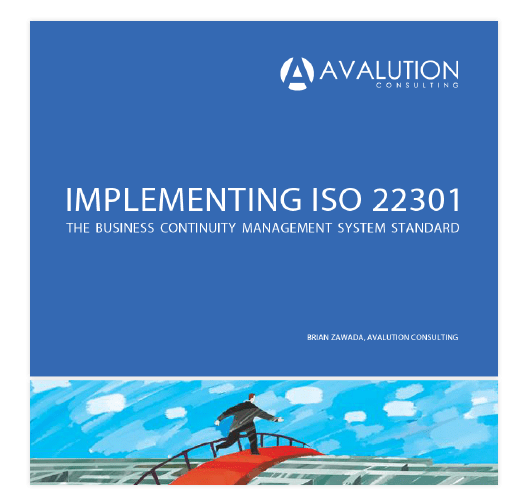 Developed by Avalution’s business continuity experts, we’ve turned our methodology and consulting experience (over 200,000 consulting hours to be exact!) into a comprehensive and powerful business continuity and IT disaster recovery solution. Get up and running quickly with Catalyst’s fast implementation, user-friendly interface, and intuitive software capabilities. Expertly mitigate risk and ensure your employees know the proper steps to take before, during, and after a disruptive incident to ensure continual product and service delivery. 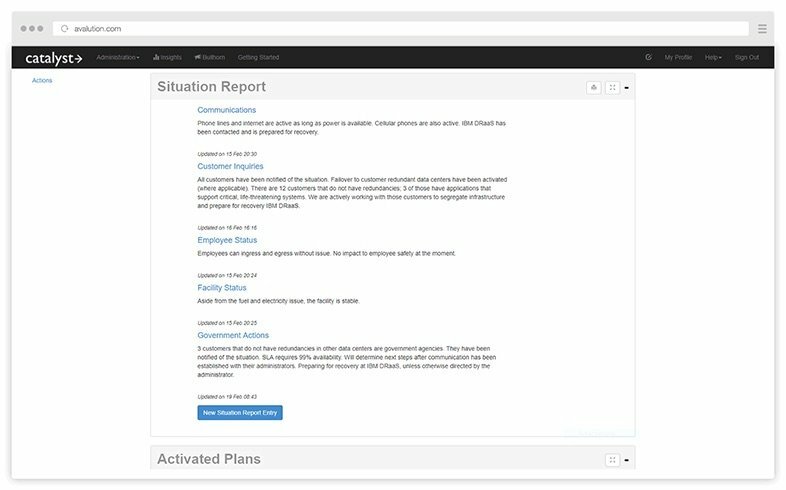 With Catalyst, business continuity planning is simple, scalable, and actionable. 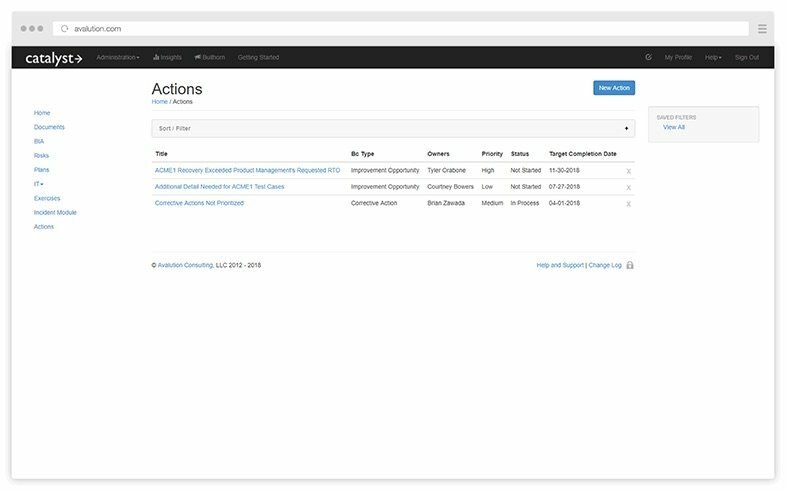 Efficiently manage your controls and compliance requirements – ensuring they are consistent with stakeholder expectations and tailored to you organization’s risk profile. Business continuity, compliance, and risk management program managers must navigate a wide range of standards, best practices, and regulatory requirements, and then confidently address any vulnerabilities that might affect the organization's ability to meet stakeholder expectations. 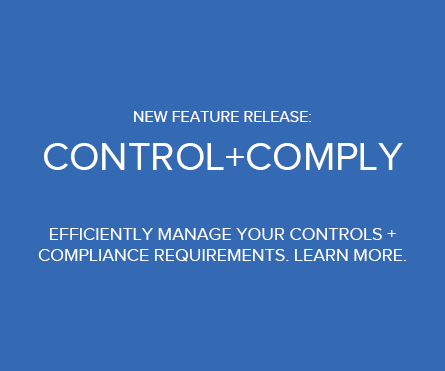 Contol+Comply automates and drives efficiency into your compliance measurement efforts – without the hassle and complexity of an enterprise GRC tool. Avalution delivers business continuity and IT disaster recovery consulting services and software solutions to organizations worldwide. Catalyst supports our global client base and respects local data privacy laws by offering data hosting options in the United States, Europe, Canada, Australia, and the United Arab Emirates. Avalution was again named a Leader for its business continuity and IT disaster recovery software, Catalyst, in Gartner’s 2017 Magic Quadrant for Business Continuity Management Program Solutions, Worldwide, based on its ability to execute and completeness of vision. A focused and actionable business continuity program empowers your organization to successfully prepare, react, and recover in the event of a business disruption. Submit the form below to learn more about Catalyst.